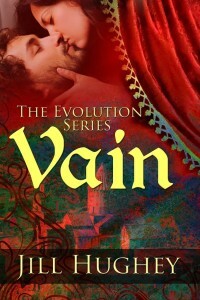 Vain, book three of my historical romance series, is on the cusp of release. Today I’m going to share a short excerpt to introduce you to my heroine, Lily, who is the daughter of a tailor in Francia in the year 839. Lily circled her father’s worktable, pondering the fine burgundy wool much as a mason scrutinizes the veins in a block of stone before placing his chisel. There were two tiny imperfections in the fabric. One a small bulge in the yarn and the other a nearly imperceptible snag. She was determined to avoid them both, and still have the front and back of the tunic match perfectly in the direction of the weave. Finally satisfied with her plan, she snatched up a piece of chalk to decisively draw her pattern on the red that stunned her eyes in the early afternoon light, stopping occasionally to check a measurement. After her troubling conversation with Arn, she had taken a quarter hour to mix a batch of starter for bread and also baked some thin, unleavened crackers to tide her over until the starter matured. She’d indulged in cheese and an apple, then approached the work she really longed to do with a pleasantly full belly. It had taken nearly an hour to calm her mind enough to really see the fabric. Now she marked the wool confidently, her fingers remembering how she wanted the cloth to drape over her lord’s shoulders. Not too square, she confirmed as she cheated the corners of the neckline. Yes, that will suit him nicely. She measured down from the shoulder to find the waist, then measured again to find the bottom hem. Her nose wrinkled as she considered the length, marking it longer than she thought she’d probably like. The lord had said just to the knees. She thought for spring perhaps the hem should ride slightly above. Besides, Theophilus had nice calves that looked well in summer hose. Lily’s cheeks grew hot as she acknowledged her second scandalous thought about her better today. They would just have to see how it looked when he came for a fitting, and let him decide if he wanted people admiring his calves or not. She, for one, would remain indifferent. She finished her markings, then stopped, not brave enough to do any cutting today. Besides, she did not want to miss the gathering at the market this afternoon, so she busied herself with sharpening her shears and studying the fine gold thread he’d provided for embroidery. She unwound a short length from the generous spool to curl it over the cloth. She smiled. The contrast was perfect. She would have to invent a clever pattern as the final, distinguishing characteristic of a garment that would surpass anything she’d ever created. With another hour until her walk to the market, she doodled unsatisfactory patterns on a scrap of parchment, ate a large cracker, studied her chalk marks on the Blood of Christ, and tried not to contemplate her father’s whereabouts. Although she had been a solitary worker for years, assigned her own tasks, she had companionably shared the space with her father and mother. She missed their presences. In truth, Willis might as well have died with her mother for all the support or affection he’d provided since then. Had it really been just last autumn that Mother had died? Where did Willis go for weeks at a time? What if he died somewhere and she never even knew? She stored her tools for the night then braced her hands on her hips. The same questions had twisted in her brain for months with no result at all. Right now, she would go to see her friends in the market. She would enjoy Arn’s company for the second time today and, hopefully, they would soon plan a future together. Tomorrow, the burgundy wool would fill her whole day with cutting and piecing and perfecting. Her fingertips caressed the cloth that she let spread over the worktable, knowing she would want to revisit it tonight and contemplate the lines she’d drawn. She had a plan for today and a plan for tomorrow. Her belly was full, and she had money to buy more food if needed. Really, what did she have to worry about? 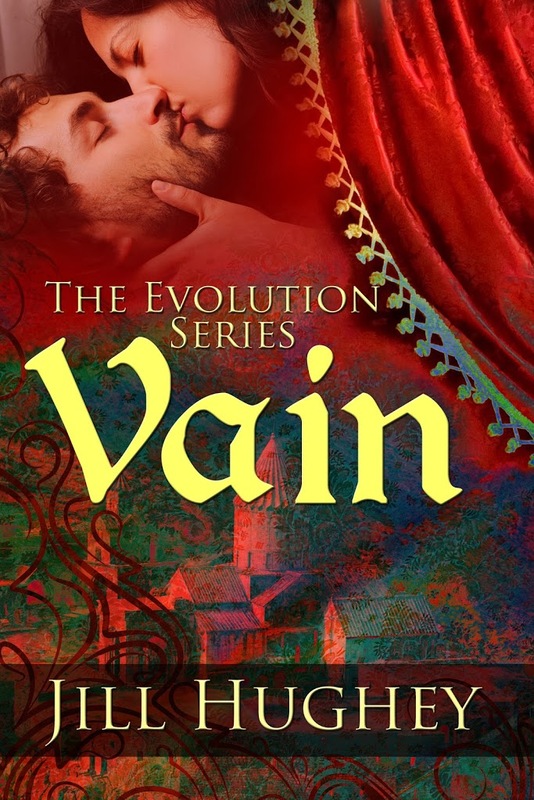 Vain is coming soon next week!